Lord of The Wings have taken over the kitchen at The Duke's Head in Highgate, serving wings, fried chicken sandwiches and more for the whole of June, each day 12 noon til 10pm. 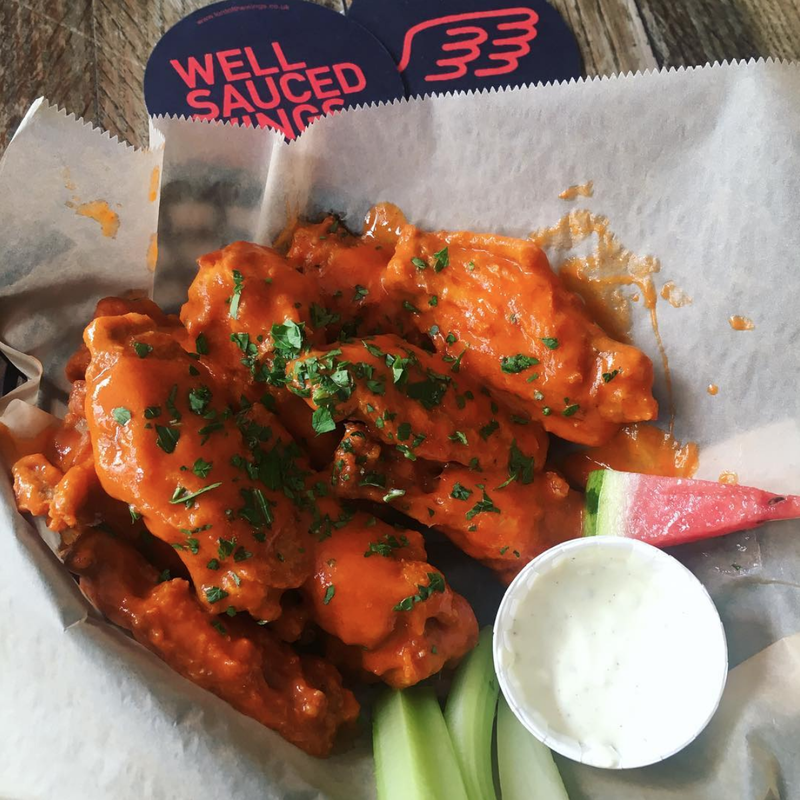 Really great wings - and a choice of 5 homemade sauces. Make sure you try at least a couple! "Soho 'Saucerers' Lord of the Wings are returning to the Duke's Head in Highgate, taking over their kitchen and slinging their Free Range chicken wings tossed in their 5 homemade sauces! Our new range of Fried Chicken Sandwiches! Fried Cauliflower with your choice of sauce! Other shareable sides & fries!"